OMAHA — My god, isn’t this fun? It’s difficult to recall a college football season in which we seem to have more questions than answers after the first month than we did before the darn thing started. Ohio State quarterbacks? Oregon down, Utah up? Defensive coordinator mental-health warnings in the Big 12? Alabama, Auburn and Arkansas a combined 0-4 to start SEC play? Clemson rolling and Louisville falling in the ACC? FWAA 2015 President Lee Barfknecht. Good luck to the College Football Playoff Selection Committee. Looks like you’ll need it. As for those of us chronicling the action, the stories get more interesting by the week. Something worth following this season is the amped-up work on recognizing our national players of the week (offense and defense) and national team of the week. The Football Writers Association of America has partnered with a new valued sponsor, AutoNation, to honor deserving players and teams as selected by the FWAA All-America Committee. AutoNation generously donates $1,000 for each team of the week and each player of the week (offense and defense) toward the Breast Cancer Research Foundation. AutoNation also is presenting sponsor of our All-American team and the 75th Anniversary All-America squads. The AutoNation folks “get it’’ when it comes to college football, and we thank them. Please help us get the word out on our AutoNation teams and players of the week. Tweet, post on Facebook and pass along in other ways our winners. The weekly release also notes the others nominated. 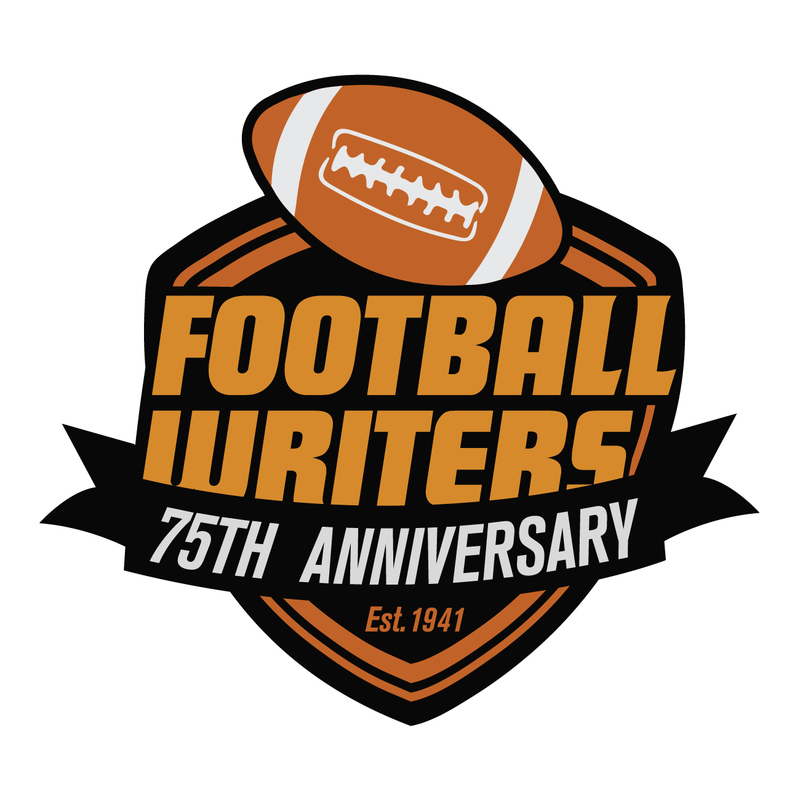 We’d like you to take note of and tweet results of our FWAA-National Football Foundation Super 16 polls each week. We have a worthy group of voters with opinions that don’t always track with the traditional polls. One month into the season is a good time, too, to remind our members that we have a process to hear, discuss and deal with issues or complaints that may arise in press boxes and interview areas. We take our code of conduct seriously, and know that a big majority of our members do, too. If issues arise — we’ll even take compliments — please contact me at leebee@cox.net or Ron Higgins of the New Orleans Times-Picayune at ron_higgins@nola.com. We can’t help make things better if we don’t know about problems. We truly do want good news, too, to help us pick our Super 11 media relations honorees. Now, is the time to nominate worthy candidates for the FWAA’s Volney Meece scholarship, which pays $1,000 yearly for four years to a deserving daughter or son of an FWAA member. 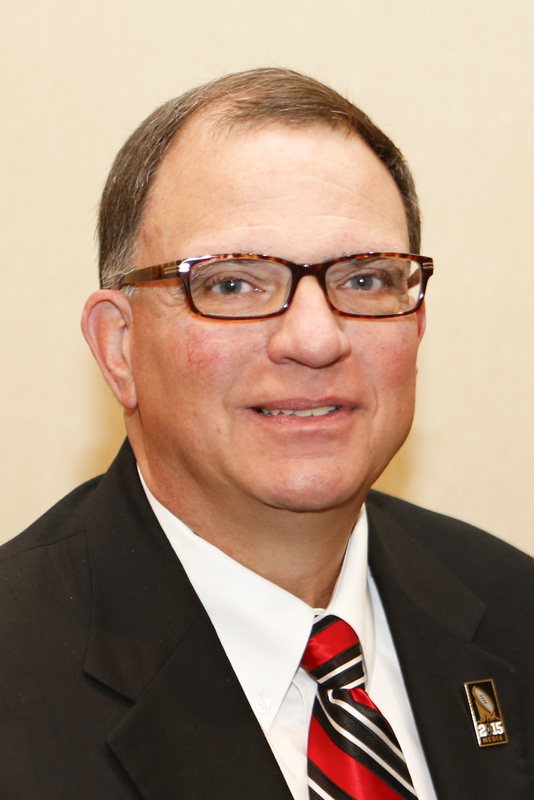 Volney was the FWAA executive director for 22 years and one of our business’ master storytellers and all-around good guys. The scholarship began in 1997, and the FWAA receives more and better applicants every year. The quality of the field is stunning, but not a surprise. We have hard-working and smart people in our industry, who pass those qualities to their offspring. Contact Past President Dave Sittler at davesitt@aol.com for details on how to apply. Kudos to longtime Colorado SID David Plati for recognizing and honoring just-retired FWAA member Tom Kensler of the Denver Post in the press box at a Buffaloes game. Such acts of kindness are much appreciated. We have many new members in the FWAA. We thank all for joining. We remind you that the simple act of becoming an FWAA member doesn’t guarantee you credentials to games or access to interviews. Schools still hold the rights on how to credential applicants. Another thank you is in order. As more games creep toward the four-hour mark, all of us greatly appreciate schools who pipe the post-game pressers into the work areas. Deadlines get meaner by the year. Thanks for reading, and enjoy this wacky wonderful season.